The Broad-leaved Marsh-orchid (also known as the Western Marsh-orchid) is rather variable in many of its characteristics, and this makes accurate identification somewhat challenging. Its range is also problematic due to confusion with other closely related species. 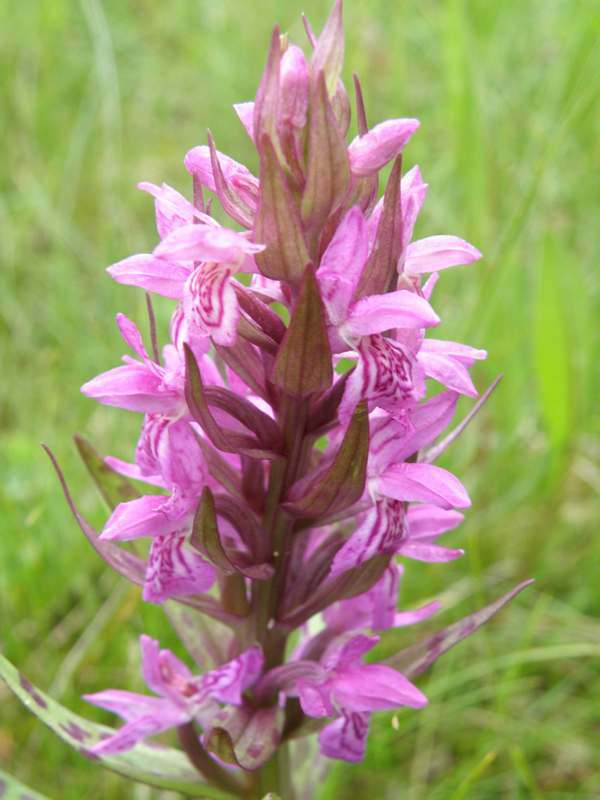 The Broad-leaved Marsh-orchid is a large and robust-looking plant that can grow typically 40 to 50cm in height, although taller plants (up to 70cm) have been found. It has four to ten leaves which are nearly always spotted with large, dark, brownish-purple marks. Each infloresence carries up to 50 dark pink to purple flowers which are rather large. The dorsal sepals and petals form a hood over the convex lip, which is marked with deep purple loops and dots. The Broad-leaved Marsh-orchid can be found from southern Sweden as far south as Northern Spain and the Dolomites in Italy. In the UK and Ireland two subspecies are reported, one from Wales and the other from The Burren in County Clare, although both are very difficult to identify with confidence. 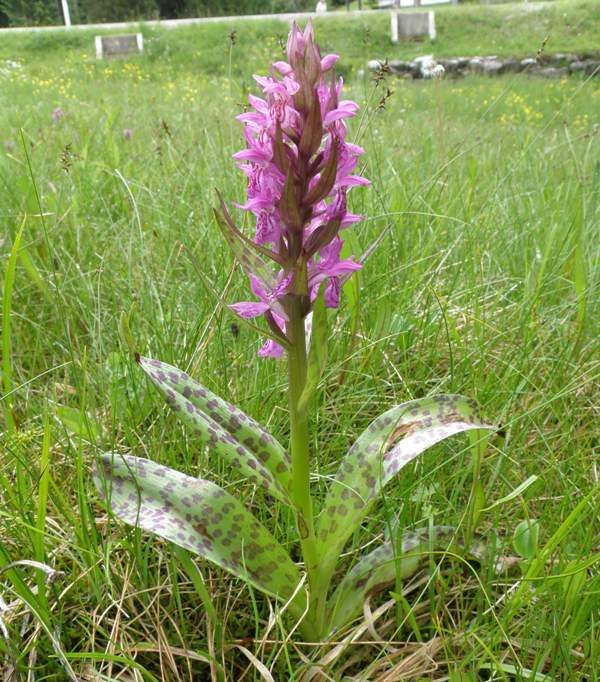 Dactylorhiza majalis grows in marshy, unimproved meadows, which is where we found the specimens on this page in the Triglav National Park in Slovenia. The soil there is predominantly alkaline, but the other flowers we found close to these orchids indicated that the particular spot where we found the orchids was slightly more acidic than other parts of the park where there is a lot of exposed limestone. In the right habitat Dactylorhiza majalis forms impressively large colonies (see below), but the marshy unimproved meadows that it favours are in steep decline throughout its range. 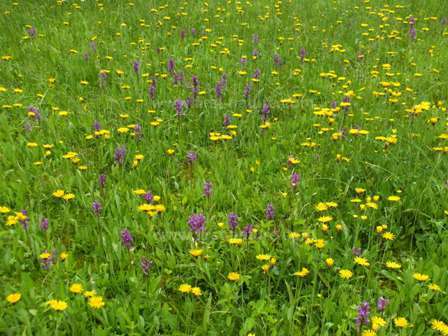 Dactylorhiza majalis flowers from May until mid-July.